The treatment of bacterial infections is currently threatened by the emergence of pathogenic bacteria producing β-lactamase, which catalyzes the hydrolysis of β-lactams. Although the hydrolysis of the substrate nitrocefin by a metallo-β-lactamase, namely β-lactamase N1 from USA300 (a typical methicillin-resistant Staphylococcus aureus), has previously been reported in the literature, its mechanism remains elusive. 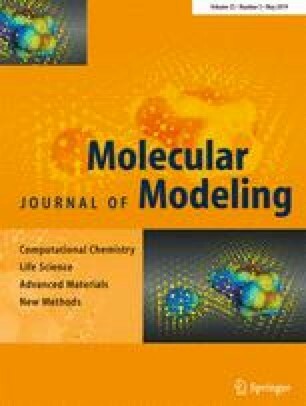 Here, we show that molecular modeling and quantum-mechanical/molecular mechanics (QM/MM) calculations describing the complex of β-lactamase N1 with nitrocefin (the substrate of β-lactamase N1) can predict the catalytic mechanism of nitrocefin hydrolysis by β-lactamase N1. Molecular dynamics simulation shows that the catalytic reaction begins with hydrogen bond formation between Gln171 and a water molecule, which is thereby captured for nitrocefin hydrolysis by β-lactamase N1. In addition, the carboxyl group coordinates Zn2 in a chelating fashion. The binding energy decompositions suggest that Phe169 anchors nitrocefin by π-stacking interactions between the benzene rings. Specifically, Phe169 and Zn2 position the nitrocefin in specific orientations. The active site of β-lactamase N1 contains two residues (Gln171 and Phe169) that we expected to be crucial for guiding the nitrocefin hydrolysis reaction. Compelling evidence is provided that the mutants F169A and Q171A show lower enzymatic activity than the wild-type protein. On the basis of the QM/MM calculations, we propose that nitrocefin hydrolysis is initiated by the interaction between the oxygen atom of water and the C18 atom of nitrocefin, leading to the opening of the four-membered ring of nitrocefin and the formation of a substrate intermediate. In the next step, a hydrogen atom transfers from the nitrogen atom to the C11 atom of nitrocefin, resulting in the stable product. The online version of this article ( https://doi.org/10.1007/s00894-019-4001-z) contains supplementary material, which is available to authorized users. The authors acknowledge the financial support by the National Nature Science Foundation of China [Grant no. 31572566 to X. D. N].